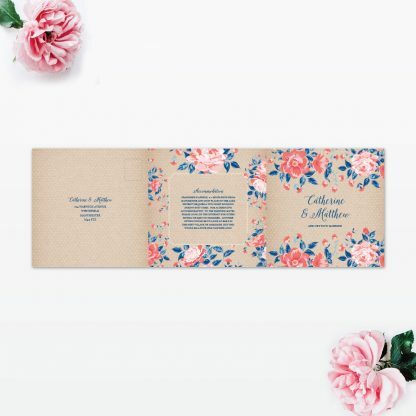 The beautiful Vintage Floral wedding invitation is available in either a double sided card or 6 page folded option. Both invitations have the lovely floral and polkadot pattern throughout with a Kraft effect background to really emphasise the vintage look. For full format details please see Description below. 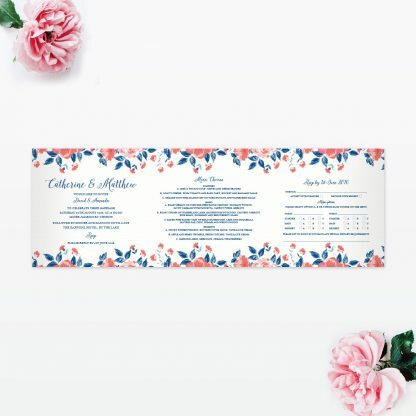 Once you have placed your order we will be in touch regarding your guest names (if this is something you have selected), your colour scheme and your wording. If at any stage you need any help, please do not hesitate to contact us. Foil is a great way to add that extra special touch to your wedding stationery. Whether you want your names to stand out or the whole design to shimmer. Foil colours are available in Gold, Rose Gold and Silver. Select your colour and we will be in touch to discuss foil details. 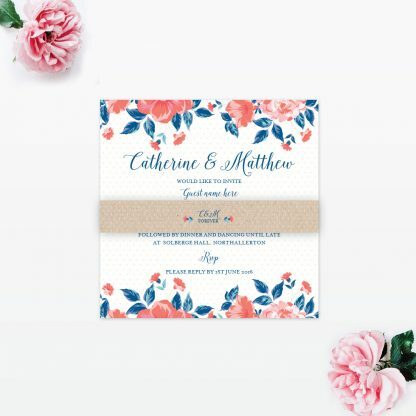 The beautiful Vintage Floral wedding invitation is available in either a double sided card or 6 page folded option. Both invitations have the lovely floral and polkadot pattern throughout with a Kraft effect background to really emphasise the vintage look. Why not add a belly band to your single card invitations for an extra special touch? Suitable for Day and Evening Wedding Invitations. 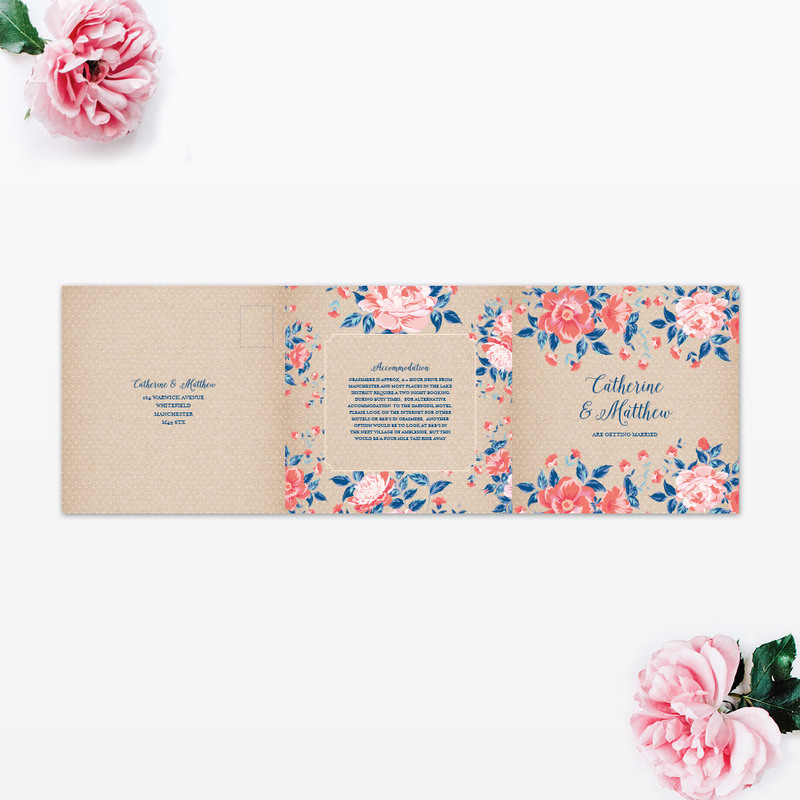 An alternative format to the gate fold is this elegant 6 page folded Vintage Floral wedding invitation. This format provides you with the space for all of your additional guest information without the need for separate cards. Also, the last page of the invitation is a tear off rsvp postcard, which makes it so easily for your guests to reply. The Vintage Floral design is beautifully delicate on this double sided wedding invitation with an option to be finished with a matching bellyband wrap.